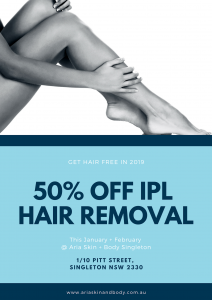 Get Hair Free at our Singleton salon with 50% off IPL! We are celebrating our upgraded technology and staff education with 50% OFF IPL for January + February 2019 at our Singleton salon! Get in quick and get hair free!